The Fallout 4 Creation Kit and built-in mod support through Bethesda.net are now live as part of the 1.5 beta update. The built-in mod support is available through the 1.5 update, which is still in beta, so you'll need to be opted in if you want to leap into it right now. To do that, just right-click Fallout 4 in your Steam library, select Settings, then Betas, and then “beta” from the drop-down menu. It'll take a bit for the game to update but when it does, it'll appear as “Fallout 4 [Beta]” in your library. 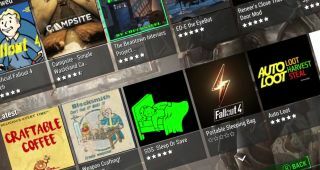 Bethesda asked users to provide feedback in the Fallout 4 Creation Kit forum, so it can "update and evolve Mods and the Creation Kit based on your experiences." More information, including a range of tutorials on how to actually use the thing, can be found in the official Creation Kit Wiki.